A recombinant protein expressed in E. coli that carries the pol gene for Thermus aquaticus. 20mM Tris.HCl (pH8.0), 100mM KCl, 3mM MgCl2, 1mMDTT, 0.1% Nonidet® P-40, 0.1% Tween® 20, 0.2mg/ml BSA, 50% (v/v) glycerol. One unit (U) of Taq polymerase is defined as the amount of enzyme needed to catalyze the incorporation of 10 nanomoles of deoxyribonucleotides into acid-insoluble material in 30 minutes at 70°C using herring sperm DNA as a substrate. 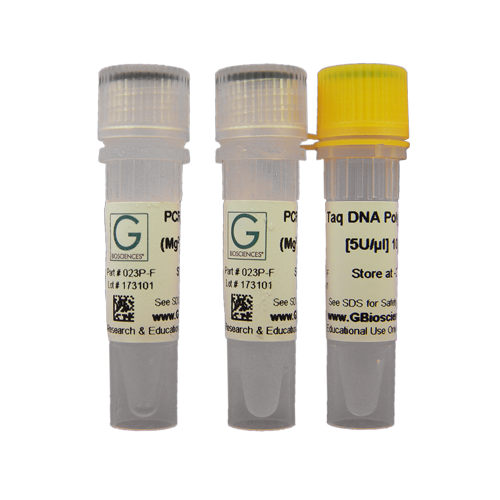 Our Taq DNA Polymerase is offered in four convenient sizes and supplied with 10X PCR buffer (Mg2+ plus). 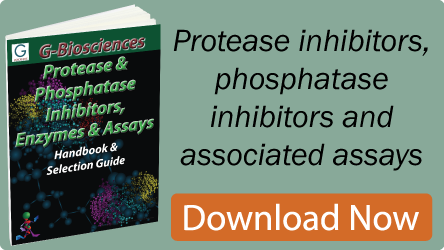 Taq Polymerase 2X Mastermix is a ready-to-use mixture of our high quality Taq DNA polymerase, deoxynucleotides and reaction buffer at a 2X concentration. Santosh, K.M. et al (2018) Recombinant human interferon regulatory factor-1 (IRF-1) protein expression and solubilisation study in Escherichia coli. Mol. Biol. Rep.
Mahto, K. U. et al (2018) DNA polymorphism analysis of Indian germplasms of Trapa natans using RAPD molecular Marker.Biocatal Agric Biotechnol.doi.org/10.1016/j.bcab.2018.06.001. Satyapal, G. K. et al (2018) Possible bioremediation of arsenic toxicity by isolating indigenous bacteria from the middle Gangetic plain of Bihar, India.Biotechnol Rep.17:117. Ambawat, R. et al (2017) An Easy, Quick and Cost Effective Method of High Quality DNA Extraction from Mungbean [Vigna radiata (L.) Wilczek] Without Liquid Nitrogen. Int J Curr Microbiol Appl Sci. 6:2695. Kumar, H. et al (2016) RAPD and ISSR Marker-Based Comparative Evaluation of Genetic Diversity Among Indian Germplasms of Euryale ferox: an Aquatic Food Plant.Appl Biochem Biotechnol.DOI: 10.1007/s12010-016-2171-z.